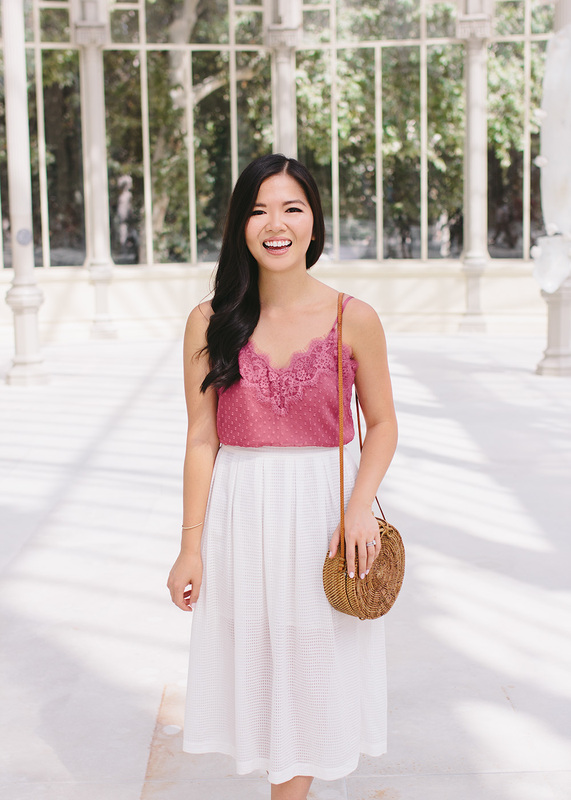 Madrid was full of oh-so-Instagrammable streets, parks and rooftops. 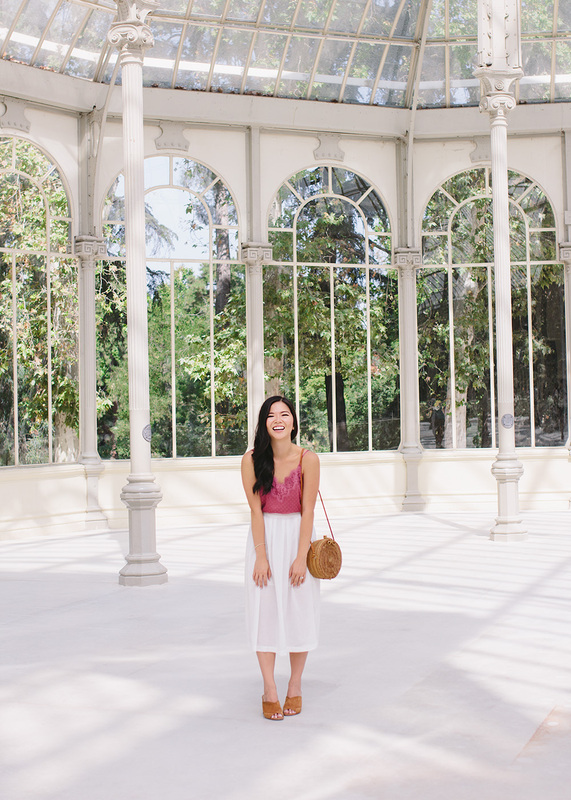 But if there’s one place you need to go see and take a picture of, it’s the Palacio de Cristal. 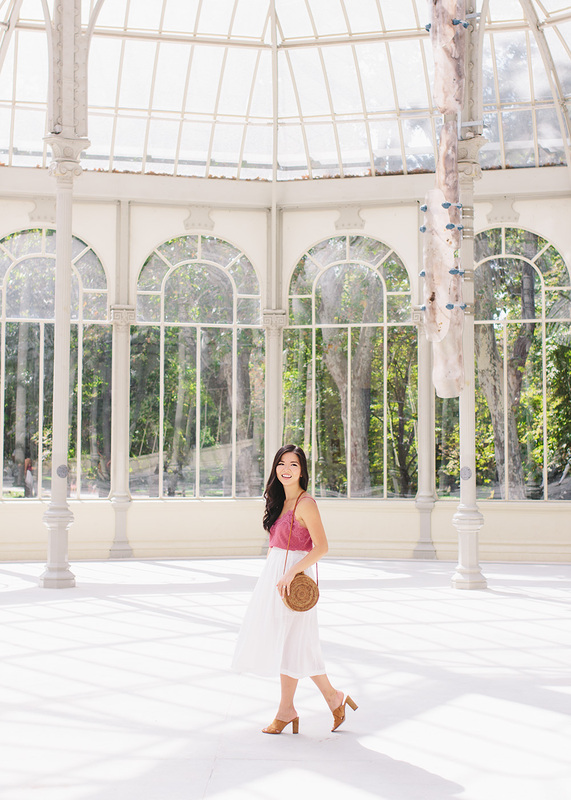 The Palacio de Cristal is a glass and metal structure in the Buen Retiro Park. It’s not very big, but when the light shines through the trees and the glass, this place looks like a dream! When we were planning our visit, I had all of the intentions to wake up super early and get to the park before the crowds. Unfortunately, our bodies had other plans and we slept in until about 11:00 AM (which always happens on our first day in Europe). By the time we got to the park, it was probably around 2:00 PM and as I feared, there was quite a sizable crowd wandering around the Palacio. But with a little patience and a quick trigger finger, we managed to get the shots we needed to make it seem like we had the whole place to ourselves! 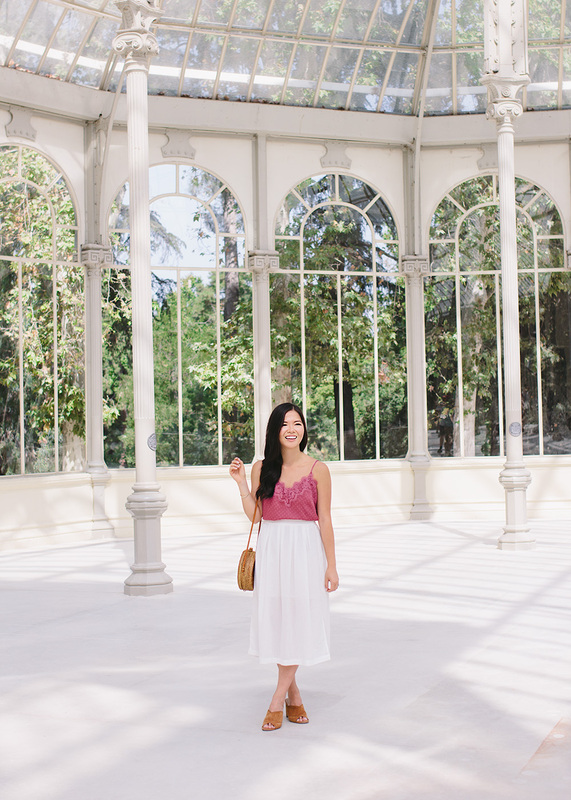 This place really is a dream and if you’re ever visiting Madrid, you need to add the Palacio de Cristal to your list! Beautiful location and gorgeous photos! 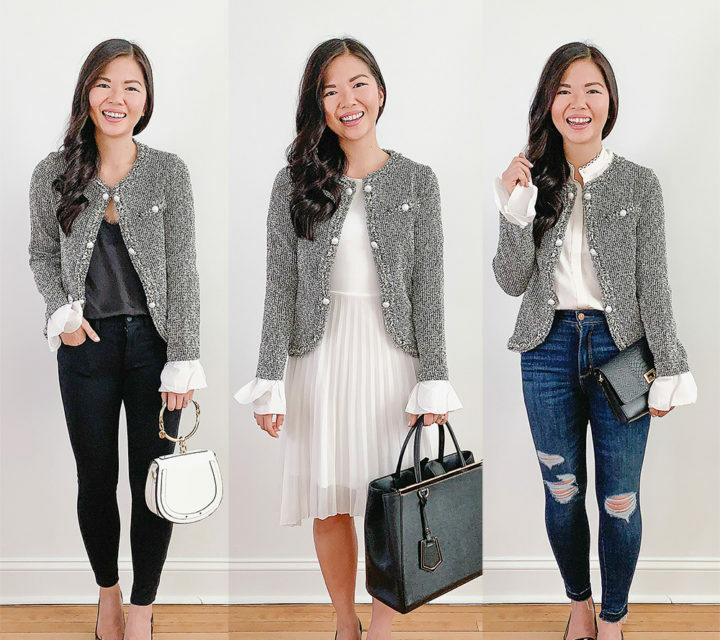 You could have fooled me, you did such a great job capturing these shots!